Editor’s note: As in years past, Preservation Leadership Forum is presenting a series of reading lists based on the major themes planned for PastForward 2018: intangible heritage, culture-nature, and resilience. Our amazing summer interns, Amy Guay and Abigail Bashor, helped us pull together the resources featured in these posts, which are intended to prepare attendees—both those traveling to San Francisco and those joining us virtually—for discussions about these themes. The culture-nature track will overlap significantly with the others, so make sure to check out the intangible heritage reading list as well as the forthcoming resilience reading list. Learn more and register for PastForward today! What do we mean when we talk about the culture-nature connection? For many years a tension between those striving to protect natural heritage and those working to preserve cultural heritage allowed for little common ground. Today professionals from both sectors recognize the value and opportunity in bridging that gap. New preservation practices connect cultural and natural elements and seek to be more inclusive of—and accessible to—diverse communities, broadening the reach of engagement. 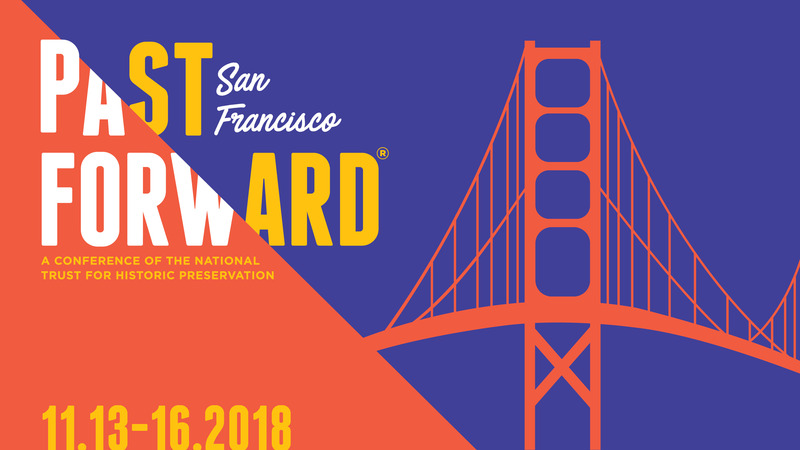 The culture-nature keynote speaker at PastForward will be Terry Tempest Williams, a naturalist and fierce ethics advocate who has consistently shown us that environmental issues are social justice issues. To familiarize yourself with Williams’ work, check out her contributions to Orion Magazine: “Bearing Witness,” her piece about drilling for oil near Arches National Park; her 2014 piece about the People’s Climate March; and an interview discussing 50 years of wilderness. A panel discussion that featured presentations from world heritage experts as well as managers of local Hawai’ian protected sites emphasized that effective conservation depends on the integration of natural and cultural heritage. Also coming out of this track at the 2016 WCC was “Connecting Practice,” a report that explored increasing recognition of the links between natural and cultural heritage at World Heritage Sites. A second report, “Connecting Practice: Phase II,” translated lessons learned during the first phase into practical interventions and discussed strategies for fostering a better understanding of the relationships between natural, cultural, and social values at World Heritage Sites. ICOMOS and IUCN recently announced the launch of a third phase, which will focus on evolved cultural landscapes as well as on sustaining and changing traditional management practices within the World Heritage Site structure. Leticia Leitao of IUCN discusses “Connecting Practice” and other similar forms of engagement in a video about defining methods to support nature-culture preservation. The culture-nature conversation continued in New Delhi, India, at the 19th ICOMOS General Assembly and Scientific Symposium in December 2017. There, ICOMOS and IUCN presented their “Connecting Practice” findings, emphasizing the demonstrated success of the study. The symposium also led to the adoption of the “Delhi Declaration on Heritage and Democracy” as well as a resolution about climate change and cultural heritage. Also in 2017, The George Wright Forum published an issue about culture-nature, featuring articles like Susanna Kari and Mechtild Rössler’s “A World Heritage Perspective on Culture and Nature—Beyond a Shared Platform” and Andrew Potts’ “An Urgent Journey: Realizing the Potential of Integrated Nature-Culture Approaches to Create a Sustainable World.” These authors examine the challenges and opportunities of integrating cultural and natural heritage as a single instrument as well as the potential for improving sustainability through that approach. A TCP determination offers a more effective way to work for the protection of such sites beyond the legal protections already afforded to structures, sites, or objects listed in the National Register. Importantly, the ability to identify and protect TCPs is an important means of ensuring that the register fully documents, protects, and celebrates the diverse American experience. Cook also highlighted National Park Service Bulletin 38 as one of the most important tools to understanding TCPs. In “Preserving the Cultural and Natural Resources on Cumberland Island,” Nancy Tinker documented a historic natural barrier island in Georgia facing questions about prioritizing its values around cultural and natural resources as well as using transformative experiences to preserve authenticity. More recently, Jennifer Goodman, director of the New Hampshire Preservation Alliance, and Sharee Williamson, associate general counsel at the National Trust, discuss the importance of identifying the natural and historic resources of cultural landscapes to protect open lands. If you are participating in the PastForward Challenge (Gamification) for points and prizes, please enter the following passcode for the "Blog: Culture-Nature Reading List" challenge: CNREAD.